Holly Becker and "Rapid" aka "Under the Radar", (Leprechaun's Molly Brown X Riverman), just won her Novice Division at the Region IX, Event at Skyline, in Utah. 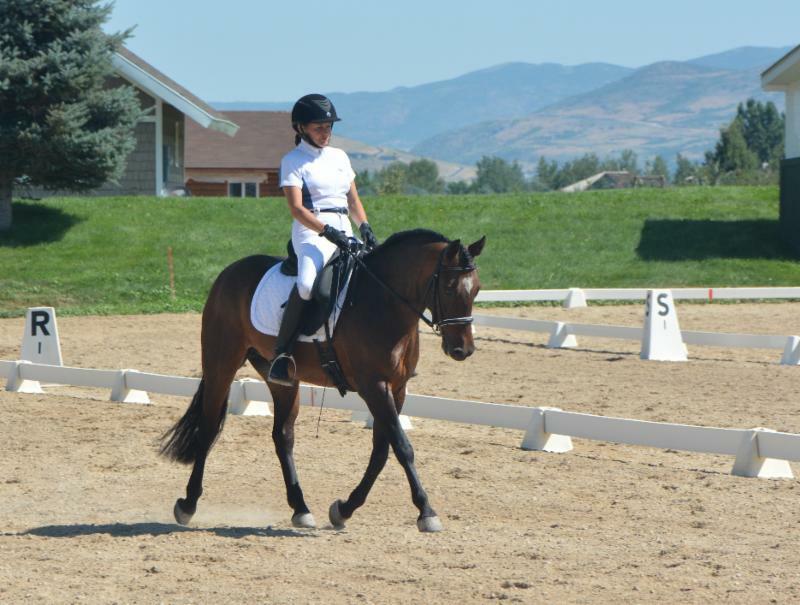 My 13 year old daughter Erin Driscoll has been riding her Connemara Ceili Coral Isles (Isley) in various activities, including pony club lessons, eventing, trail riding, 4th of July Parade in Highlands Ranch, a jumping clinic with Tim Beecher from Ireland, and earning a Fairly Hunted Award again with Arapahoe Hunt. Celeste Rosquist: I have been riding and training my 3 Connemara ponies all season. Hollymead Meadow Lark I have been showing at the USDF rated shows at second level test 3. We are the national champions at 2nd level for the Connemara division. I have a great friend of mine who ones one purebred and one halfbred Connemara and we will get two or three of us and all go trail riding in the mountains. Joyce Anderson (Greybull, WY): I bought a Connemara mare Windy Isle Maid Marion from VSH last November and she is an amazing horse - now 15.1hh at 5 yrs, so not a pony, but absolutely true to type. Her sire is The Quietman. My colt's sire is Tullymors Ned Devine. Susan Dudasik: I'd love to be more active in promoting our ponies. My pony is a half Connemara mare, VSH Devine Alexandra, (Lexie). 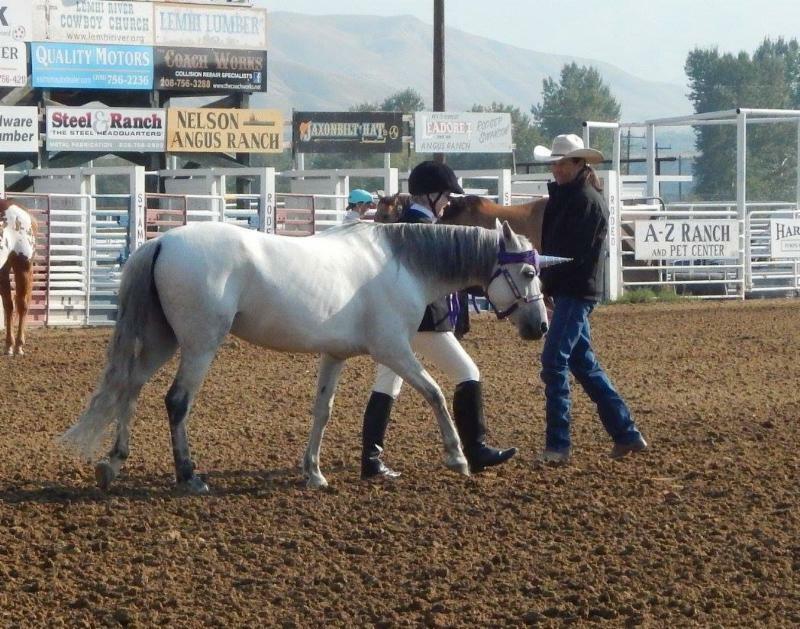 She's our lesson pony/unicorn and is a big part of our program at Misfit Farm in Salmon, Idaho. During the summer we participated in the American Horse Council's Time to Ride Challenge and just learned we placed 4th in the nation in the small barn division. Lexie made several personal appearances as the unicorn an interacted with over 500 people. Coralee and Tuckaway Thunder (Folklore James McNichlolas x Tre Awain Muffet’s Light) have had a successful 2017 competition season, and still have more to go! 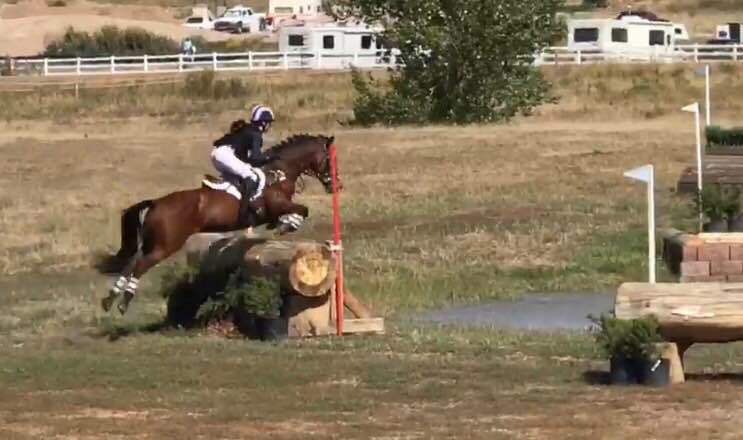 They have completed two Preliminary Level Horse Trials, finishing first at the Arrowhead Horse Trials in Billings, MT and 8th at the Colorado Horse Park. They completed the first double clear cross country round at Arrowhead since 2015, and competing at the Preliminary level was a first for both of them that weekend! 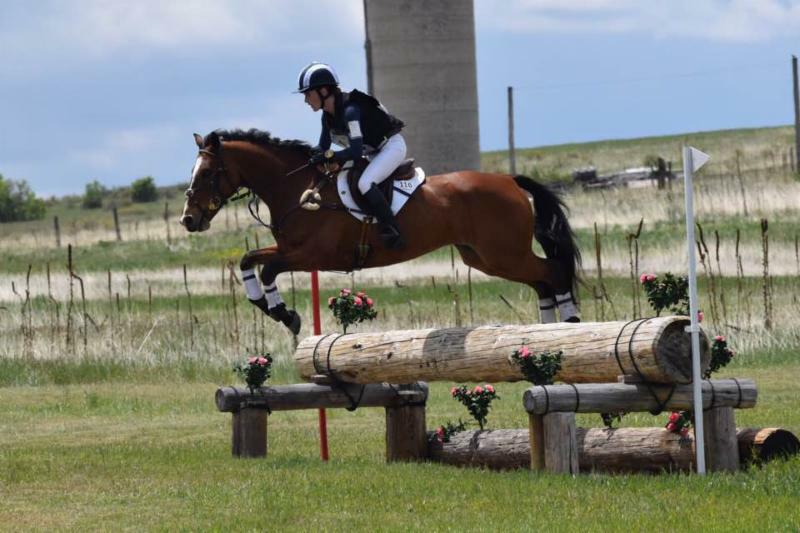 They were also the one of three double clear cross country rounds in the CO Horse Park Preliminary division of 17. They have quickly developed into a wonderful, confident team. Earlier in the year, they finished 4th in two local horse trials at the Training Level. 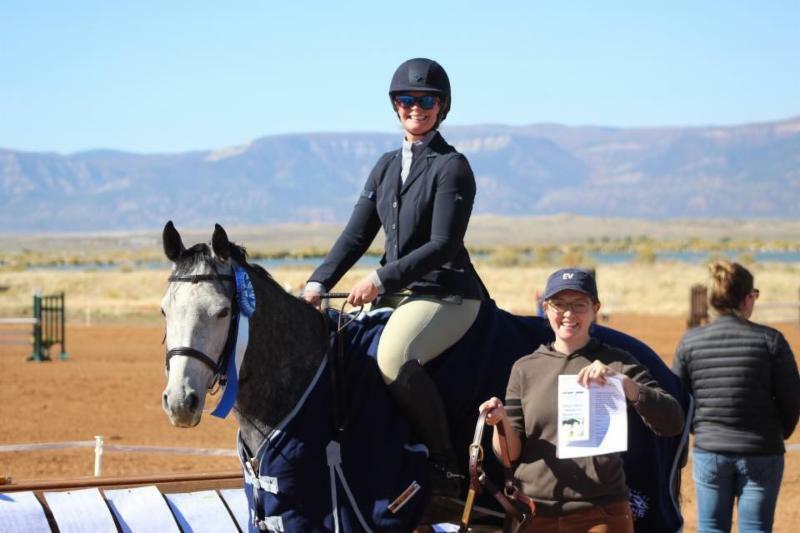 They also competed in two Dressage shows at the CO Horse Park achieving two firsts and two seconds and they were awarded the High Point Connemara Award at both shows. 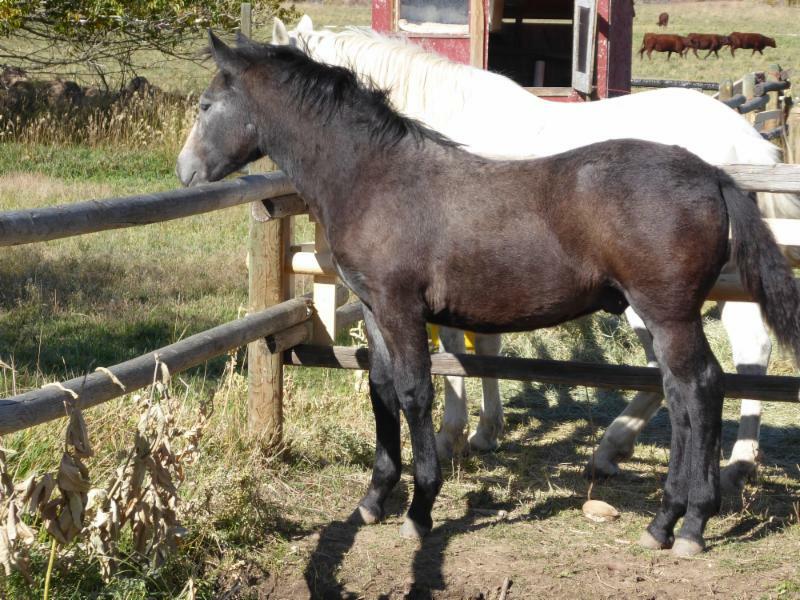 Tucker came to us in March of 2016 when our friend Gloria LaCroix called in hopes that we could “rescue” Tucker from a stock yard in Alamosa, Colorado. Apparently, Tucker was too strong for the woman who purchased him in 2015, so she traded him for a quarter horse that belonged to her trainer. Her trainer turned around and listed Tucker for sale on DreamHorse.com where his breeder, Betsy McQueary, saw the listing and quickly called Gloria to devise a plan to get him back! We are so grateful that Gloria called us to bring him home, and after just one week, we decided that we must, in turn, purchase him from Betsy! Tucker was wonderfully raised with impeccable ground manners, and had a good start under saddle. He was a great step up in size and power from sweet Cobblestone Ivy who was an incredible first pony for Coralee. Kudos to Betsy McQueary, Tuckaway Farm, and Gloria LaCroix, Folklore Farm, for breeding such a talented and athletic Connemara pony!